Mount Sinai’s Community Outreach and Engagement Core (COEC) of the Transdisciplinary Center on Early Environmental Exposures (TCEEE) partnered with stakeholder advisory board member Rebecca Bratspies of CUNY Law School’s Center for Urban Environmental Reform (CUER) to produce a short animated film based on Mayah’s Lot, an environmental justice themed graphic novel. Mayah’s Lot serves as an educational tool for youth who live in communities burdened by environmental injustices. It follows the story of the young hero/protagonist, Mayah, who takes action to mobilize community members and prevent the dumping of toxic waste in their neighborhood. On December 7, 2016 Mayah’s Lot was screened at the NIEHS Film Festival. 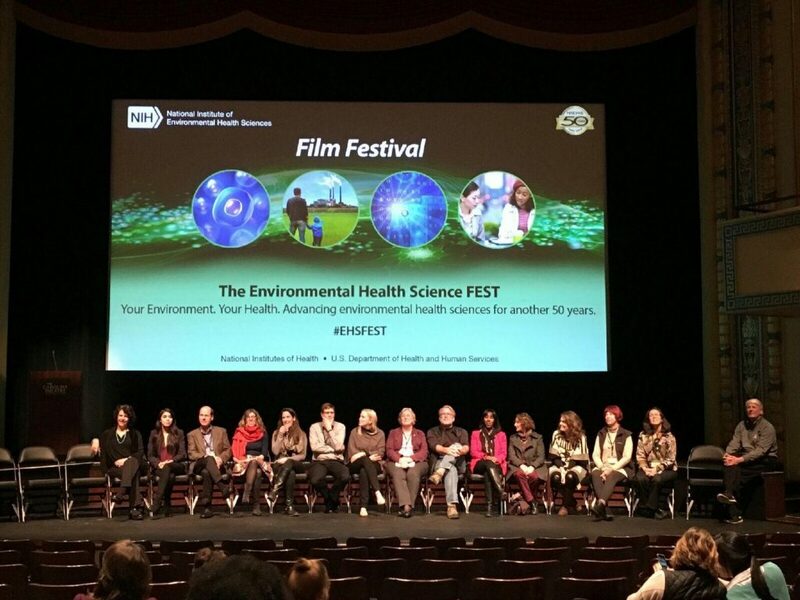 The film festival showcased environmental health focused videos developed by grantees, community partners, federal partners, and NIEHS staff. Rebecca Bratspies from CUNY Center for Urban Environmental Reform and Luz Guel our Project Coordinator for the COEC answered questions about the environmental justice chronicles and shared their experience on the importance of collaborations. This entry was posted in Feature of the Month on December 14, 2016 by mountsinaitceee.